The City of San Diego owns the .46 acre Park and Ride at 10211 Rancho Carmel Drive, which the City is in the process of selling. A developer called New Pointe Communities, Inc., from Rancho Bernardo, has bid on the property and submitted a proposal for a 48-unit (one and two bedroom apartments) 4-story affordable housing apartment complex. The property is currently zoned for 8 dwelling units. The developer is in the process of seeking a re-zoning of the property to allow for the 48 units. A zoning change requires going through the Carmel Mountain Ranch/Sabre Springs (CMR/SS) Community Council for an advisory vote, then to the City Planning Commission for a vote, and then finally to the City Council for a vote. The developer already submitted a request to the CMR/SS Community Council advisory at the November 14th CMR/SS Community Council meeting and has garnered support from the City Planning Commission. Unless members of the community speak up and let District 5 Councilmember, Mark Kersey, know our opposition, this project is likely to be approved. The proposed project does not align with current CMR community plan objectives in many respects. Most importantly, it exceeds the highest level of housing density planned (i.e., “medium-density”) of 30-43 dwelling units per gross acre by more than half. It is also not consistent with the current development design objective to “be compatible in scale with adjacent development by the use of transitional design elements and density progression.” There is no other 4-story building in the community, and the property in question is adjacent to the undeveloped former golf course and the neighboring 2-story community of Provencal. Members of the CMR/SS community understand the City’s objective to establish more affordable housing in San Diego. That objective should not be in conflict with individual community objectives as this project clearly is (https://www.sandiego.gov/sites/default/files/legacy//planning/community/profiles/pdf/cp/cpcmrpehousing.pdf). There are more appropriate places to build affordable housing than this less than half acre property. Please join other concerned members of the CMR/SS Community in expressing opposition to this project by signing this petition today! Time is of the essence. Act now before this developer’s proposal is approved and it is too late. We, the undersigned, call upon Councilmember, Mark Kersey, and the City Planning Commission to NOT approve a re-zoning of the property at 10211 Rancho Carmel Drive. The development proposal submitted by New Point Communities, Inc., to build a 48-unit 4-story affordable housing apartment complex does NOT align with current CMR community plan objectives in many respects. Most importantly, it exceeds the highest level of housing density planned (i.e., “medium-density”) of 30-43 dwelling units per gross acre by more than half. It is also not consistent with the current development design objective to “be compatible in scale with adjacent development by the use of transitional design elements and density progression.” There is no other 4-story building in the community, and the property in question is adjacent to the undeveloped former golf course and the neighboring 2-story community of Provencal. Members of the CMR/SS community understand the City’s objective to establish more affordable housing in San Diego. That objective should not be in conflict with individual community objectives such as the aforementioned, which this project clearly is (https://www.sandiego.gov/sites/default/files/legacy//planning/community/profiles/pdf/cp/cpcmrpehousing.pdf). There are more appropriate places to build affordable housing in CMR/SS than this less than half acre property. Councilmember, Mark Kersey, please support your constituents by not approving the proposal submitted by New Pointe Communities, Inc., or any other developer, to re-zone the property located at 10211 Rancho Carmel Drive. Please rather work with members of the community to figure out the best use of this property for the community at large. We thank you, in advance, for your support. 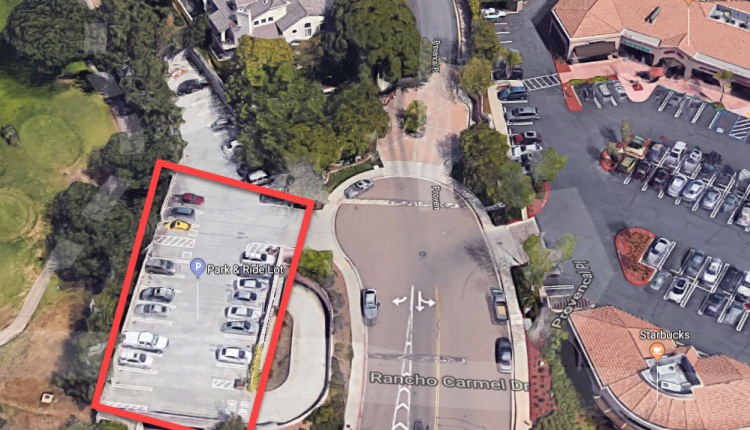 The Ban Proposed 48-Unit 4-Story Affordable Housing Apartment Project at 10211 Rancho Carmel Drive petition to San Diego City Council District 5 (Councilmember Mark Kersey) was written by Stefanie Dussault and is in the category City & Town Planning at GoPetition.